Premium Choice rolled oats are certified organic. Rolled oats are made from the oat groats that are extracted from the oat grain. Oat grains have a tougher outer hull that is removed, allowing the interior of the grain to be steam treated in order to further soften the grain. Once the oat grains are steamed properly, the grain is run through an oat roller, creating the flat oats. 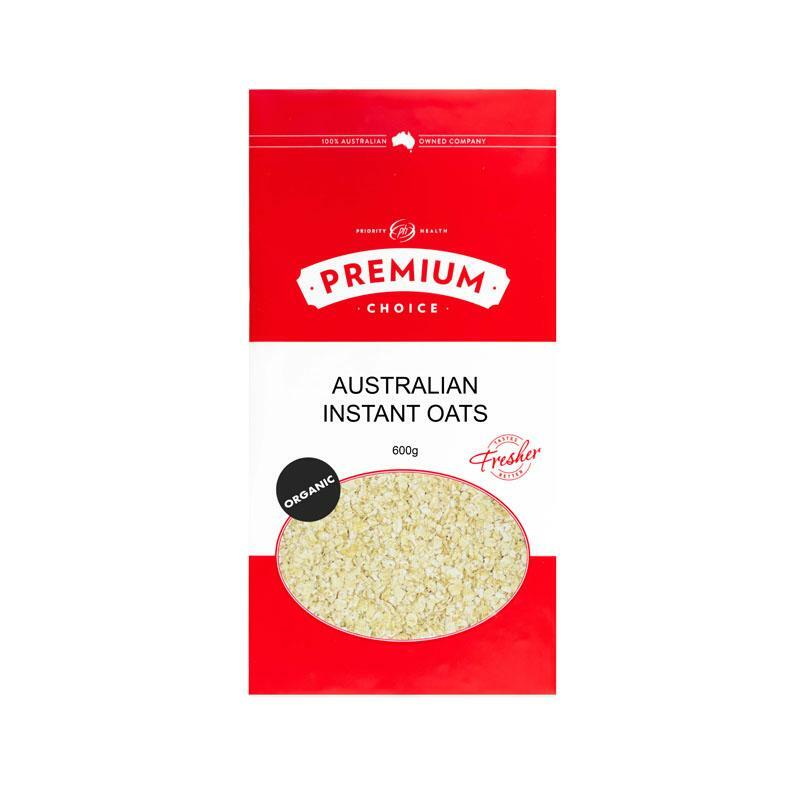 Oats are a great source of fibre which is necessary to maintain good digestive and bowel health.Rolled oats can also help you maintain a healthy weight by keeping you feeling fuller for longer. Oats are a great source of B-vitamins including thiamin, niacin and folate. These micronutrients are important for DNA replication and the breakdown of carbohydrate into energy. Oats contain a compound called beta-glucan, a type of soluble fibre. Beta-glucan reduces cholesterol re-absorption in the gut and thus reduces total and LDL (bad) cholesterol levels in the blood and therefore reducing your risk of cardiovascular disease. Oats contain health promoting compounds called phytochemicals. Phytochemicals have a number of health promoting roles in the body and in particular they can help reduce blood pressure. This is another way that regular consumption of oats may help reduce your risk of cardiovascular disease. One of the best ways to include oats into your diet is to make porridge for breakfast. Due to their high fibre content, oats are very filling and will keep away those morning munchies if you have the tendency to snack during the morning. Rolled oats can also be used in smoothies. Muesli is also a great way to include oats in your diet.Oats can also be added to muffins, biscuits and slices as a great way to make the mixture go a little further and add a bit of roughage.